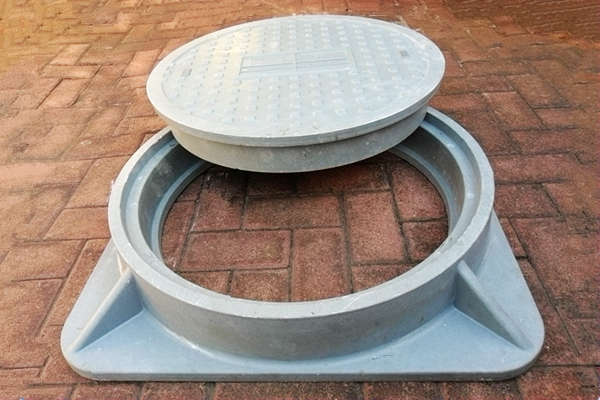 Dimensions of the cover is used to name as product codes of our Primus® and Wuzland® polymer concrete manhole covers, sewer and drain covers, trench covers, gully gratings and grids covers while clear opening (C/O) is the inner dimensions of the frame. SABS product codes are also used to name. The codes of SABS (SANS 558:2009) and (SANS1882:2003) are also used to indicate our products of SABS approved manhole covers, or the ones of which specifications and dimensions are very closed to the ones of SABS standards, which can be recommended as alternatives. The sign "≈" is indicated. Our Primus® and Wuzland® manhole covers are divided into three duty classes of light (L), medium (M) and heavy (H), however each duty class is further subdivided by the load capacity of the manhole covers indicated with TONS of Gross Weight of vehicles (GVM) which are allowed to drive over safely. The maximum gross weight of vehicles (GVM) is recommended by the manufacturers for such a vehicle allowed to be driven over the manhole cover safely. The force applied to test and verify the strength of tested manhole covers in the laboratory of Standards. The manhole covers can afford to resist such force without damages. The places where the manhole cover is advised as examples to be installed depending upon its duty class. Should the heavier truck of which gross weight is closed to or exceeding theadvised load capacity of manhole cover have to access the areas, we strongly recommend not to park the truck with its wheel right onto the manhole cover for a long time. 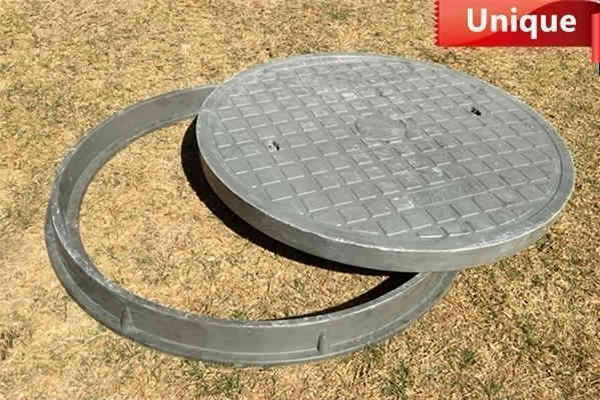 To click the buttons of Dimension Details or the images of the products, you will view the dimensions and specifications of each parts of the manhole covers and frames in details, including the section views. 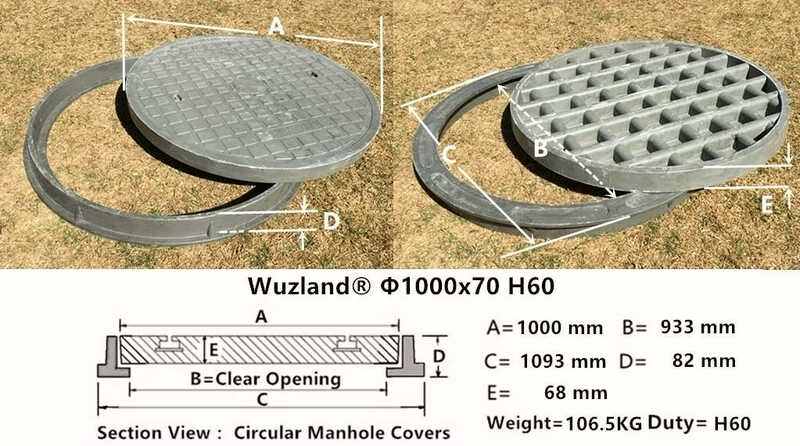 1000x500N means the manhole cover may consist of N (natural numbers) covers of 1000x500, of which the width is 1000mm while the length can be extended to 500 x N (N=1,2,3,4...), such as 500mm (N=1), 1m (N=2), 1.5m (N=3), 2m (N=4), etc. 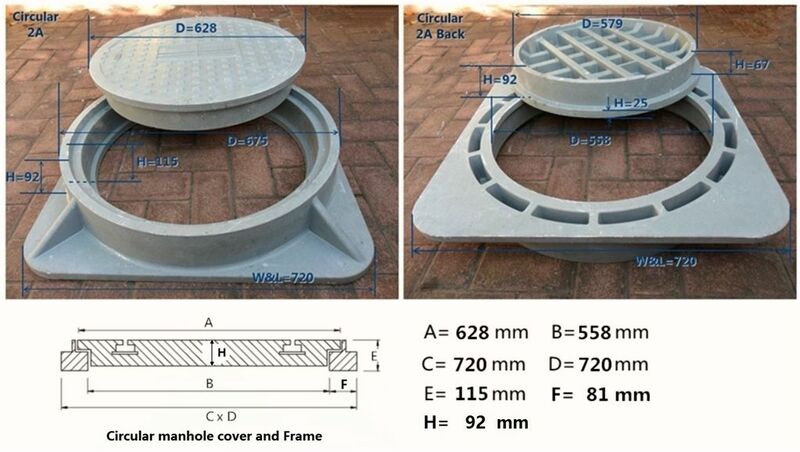 In these manhole covers, the frames are also connected by parts. Read more Cautions: How to select correct sizes and proper duties of polymer concrete manhole covers, sewer and drain covers, trench covers, gully gratings and grids covers. Read more Things have to be known for the installation of polymer concrete manhole covers, sewer and drain covers, trench covers, gully gratings and grids covers. Only the listed stocks are available and ready to deliver while stocks last. We may also take the orders of manhole covers manufactured to the clients' requirement, but the lead time, deposit and minimum quantities of the orders may be required. In these cases, prices are negotiable. Our prices quoted are valid for 3 MONTHS. The special or promotion prices advertised in our website or other marketing platforms and websites may not be valid any longer. We apologize that we can not upgrade our adverts in time. Due to the fluctuation of Rand exchange rate in recent years, the prices are subject to change without notice. We are well negotiable for extension if required.